Lenovo have released a fair number of ultrabooks in the past months, but the S531 is the first Thinkpad ultrabook to have a 15.6-inch display. With Intel's updated and more stringent requirements to earn the ultrabook title, few manufacturers are venturing past the 14-inch mark. The new business-class laptop has an anodized aluminium frame and a 180-degree open angle hinge which seems inspired by Lenovo's own Yoga convertible line. It's an interesting design choice but one of questionable utility on a device that is not touch enabled. The S531 also has up to 10 GB of RAM, up to 500 GB internal memory, Dolby Advanced Audio, two USB 3.0 ports, an HDMI port, and a variety of display options including a Full HD 15.6-inch anti-glare screen. Additional features include a full sized, spill-resistant, backlit keyboard, a third generation Intel Core processor, a full sized trackpad (in addition to the Lenovo TrackPoint) and a very respectable 9-hour battery life. All of which just leads us to wonder how much better this product would be if it benefited from Intel's newer, more power efficient components. The new ultrabooks are available in the UK now starting at 575 pounds (US$900), with the Full HD models to follow in July. Pricing and availability for other countries have not yet been announced. London, United Kingdom - June 18, 2013: Lenovo(HKSE: 992) (ADR: LNVGY) today announced its new ThinkPad S531, a premium laptop PC featuring an ultra-thin bezel and bevelled edges, giving the illusion that the PC is floating. Optimized for Windows 8, the ThinkPad S531 offers small businesses enhanced performance and 15 percent faster processor speed than previous generations. The ThinkPad S531 is being launched today at the Xander Zhou fashion show at London Fashion Week in conjunction with the designer's new men's' fashion collection. "The progressive design of our ThinkPad S531 will help small businesses impress their customers. We pack a punch behind that style, however, as we are committed to delivering genuine substance with improved performance, battery life and legendary ThinkPad reliability," said Vincent Fauquenot, VP Products and Channels, Lenovo EMEA. "The ThinkPad S531 offers an intuitive Windows 8 experience with the power needed to accelerate productivity." 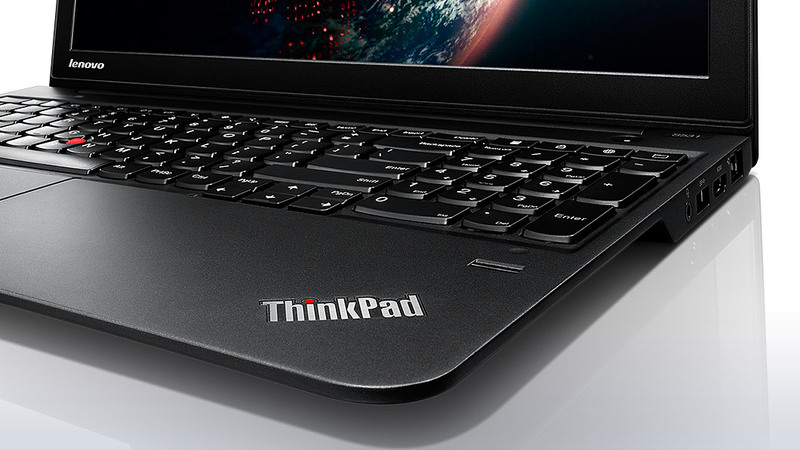 The S531 is one of the first ThinkPads to feature Lenovo OneLink technology, which allows users to connect to the ThinkPad OneLink Dock with a single cable for dedicated video, additional USB 3.0 ports and gigabit Ethernet, all while powering the system. Featuring an ultra-thin bezel, the aesthetic exterior of the ThinkPad S531 includes bevelled edges on the front and side, giving the illusion that the laptop is suspended over the desk. The aluminium LCD cover, available in fashion-forward silver or graphite black, is sand blasted and anodized, making it smooth to the touch for a premium feel. The ThinkPad S531 also boasts a simplified interior with a five-button click pad with glass surface to eliminate clutter, adding to the overall clean look of the laptop. The ThinkPad S531 come with a variety of high-resolution displays featuring 180-degree open angle that lets users interact with the laptop in a number of ways. It also has a six-row backlit keyboard that includes Windows 8 optimized shortcut keys. Additionally, the large, responsive touchpad supports Windows 8 gestures, providing users with a powerful and intuitive way to be more productive and interactive with their laptop. The ThinkPad S531 is powered by Intel 3rd generation Core™ processors, making it 15 percent faster than its predecessor with up to nine hours of battery life. With up to 10 GB of memory* and 500 GB of storage, users don't have to sacrifice responsiveness for performance. The S531 can store up to 150,000 MP3s or 250 full-length feature films. Dolby Advanced Audio will bring sound to life and a 15.6inch Antiglare Full HD* display will make movies stand out. The laptop features two USB 3.0 ports for fast data transfer. The ThinkPad S531 is available now from business partners and on www.lenovo.com. Pricing for the ThinkPad S531 starts at £575 (exc VAT). Configuration available may vary depending on the country. * 10GB model (2GB soldered + 8GB in slot) will be available with Full HD only in July.